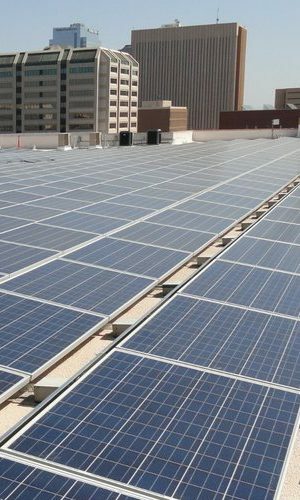 SolSmart | Nationally Distinguished. 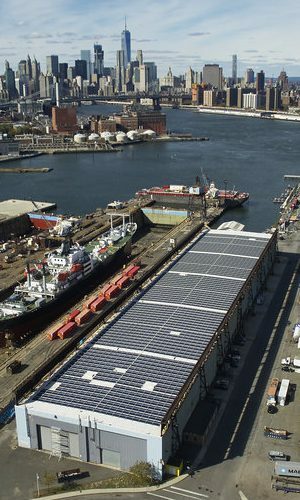 Locally Powered. 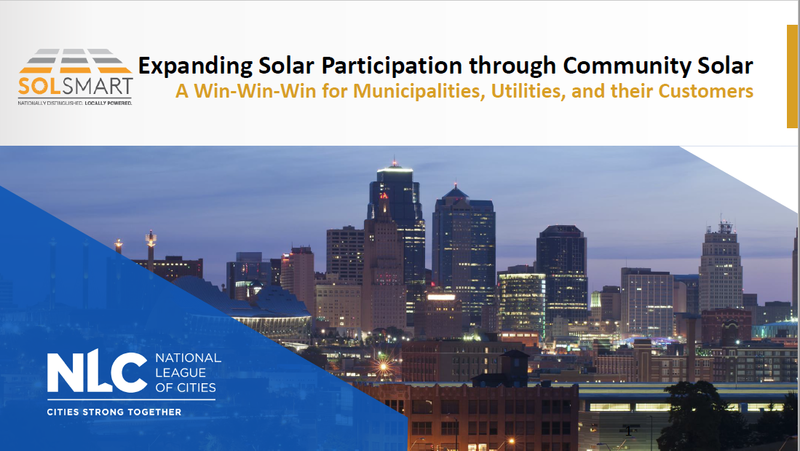 Recognizing cities, counties, and regional organizations that are open for solar business. Get started today - Request a no-cost consultation! 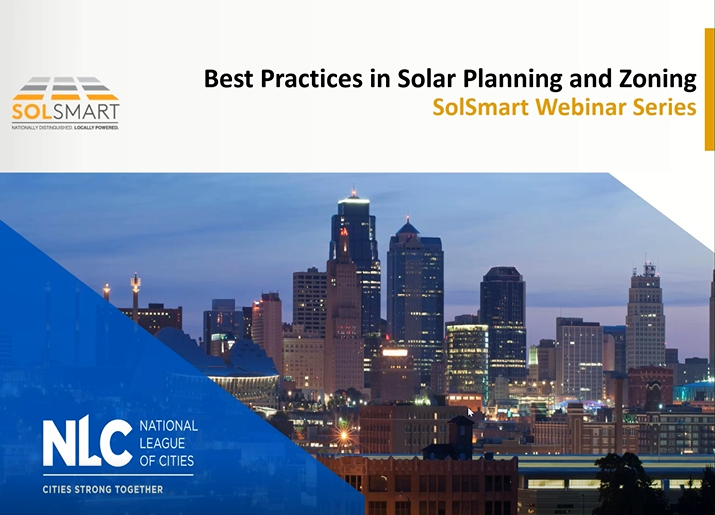 SolSmart recognizes cities, counties, and regional organizations for making it faster, easier, and more affordable to go solar. 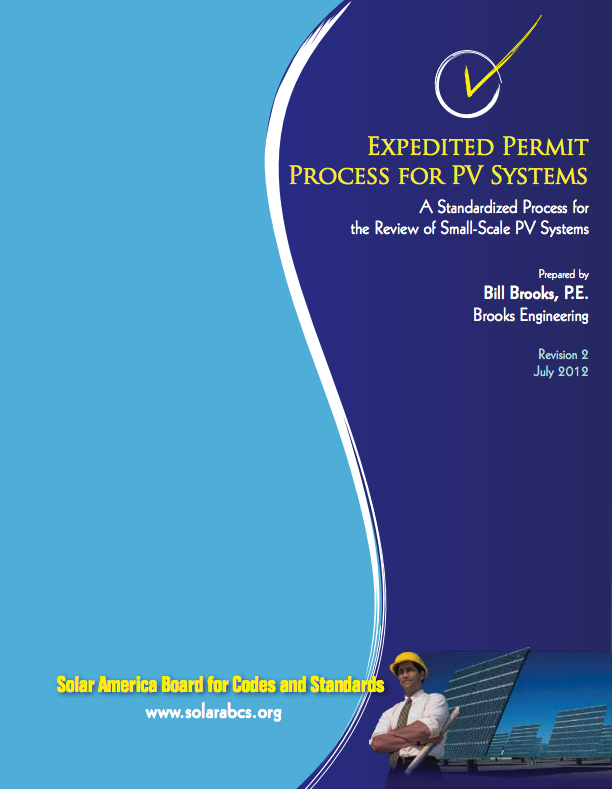 Our national team of experts provides no-cost technical assistance to help local governments become "open for solar business." 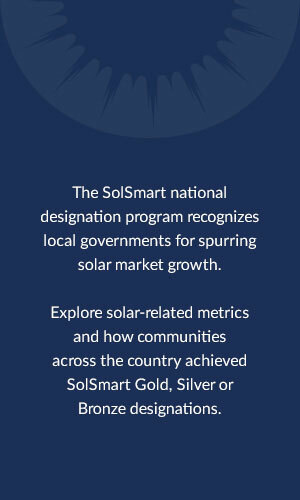 In recognition of their achievements, our communities receive designations of SolSmart Gold, Silver, and Bronze. 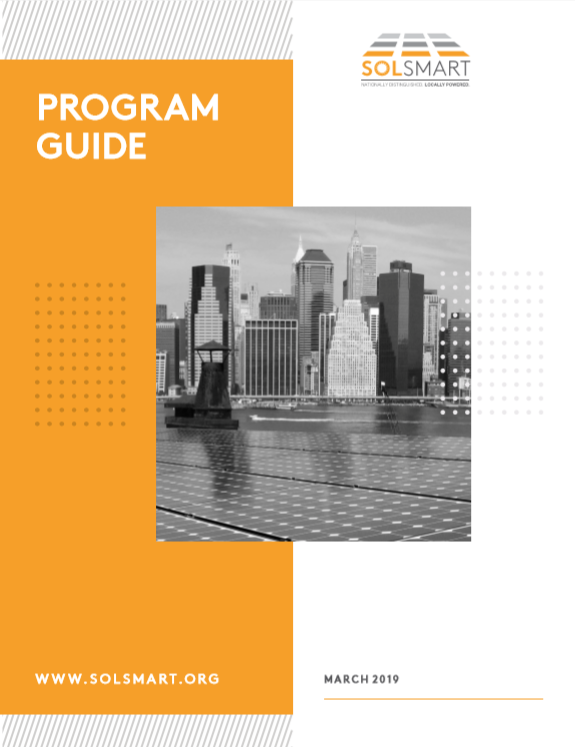 With more than 229 designees nationwide, SolSmart helps local governments bring new business to their community, promote economic growth, and foster the creation of new jobs. 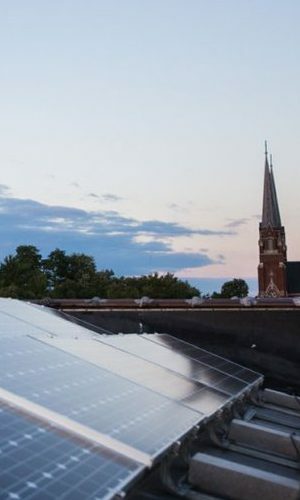 As a program funded by the U.S. Department of Energy Solar Energy Technologies Office, our goal is to make it faster, easier, and more affordable to go solar. 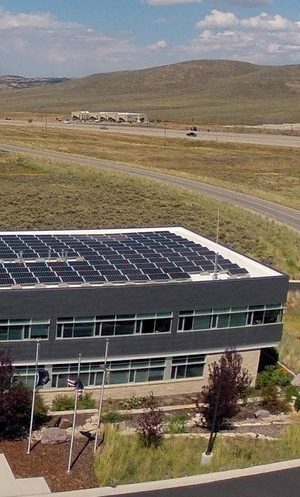 Please visit SolSmart Designees to view your community. 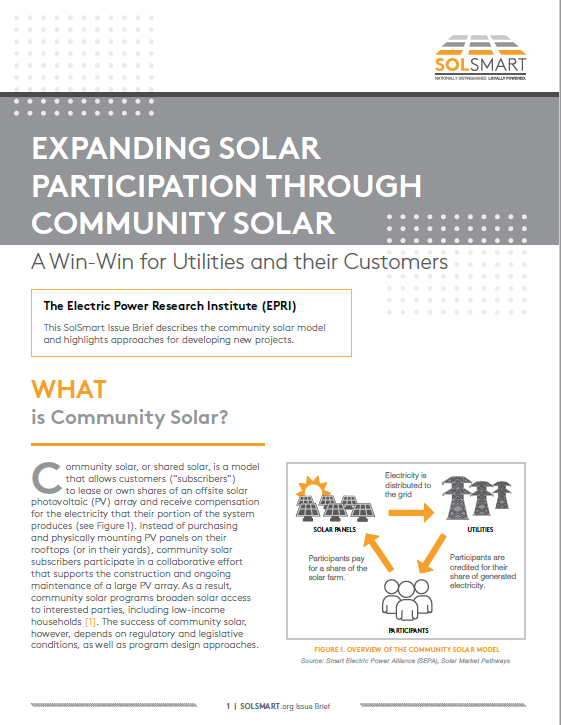 SolSmart has designated 229 communities representing 65 million people. 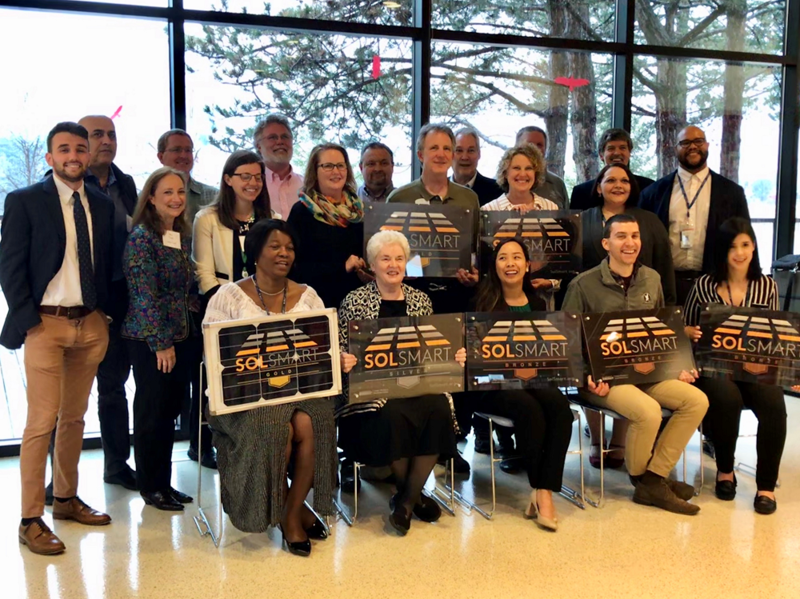 For the 5th yr, Solarize Alexandria will kick off in Alexandria, VA, (SolSmart Bronze) & give residents the chance to learn about #solar, receive a free site assessment of their property & take advantage of discounted prices on equipment & installation. 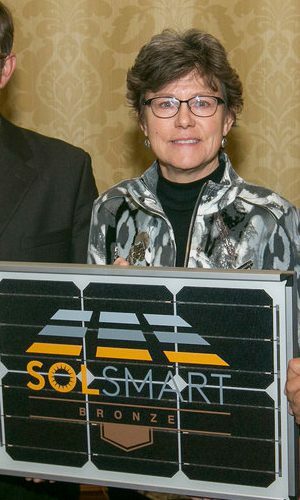 After her selection as a SolSmart Advisor, Tish was interviewed during a week-long Advisor training in Washington, D.C. in January 2017.